The 2017-18 Under 21 John Douglas Cup Final, which unfortunately had to be rescheduled due to extreme weather, is set for Wednesday 29th August 2018. 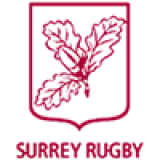 The competition will see Cobham RFC v Richmond FC in the final at Esher RFC, KO 7.00pm. The Cup is the last final to be played in the competition, with Reeds Weybridge RFC having already claimed the Plate and KCS Old Boys winning the Bowl earlier in the season. Please come along to Esher RFC on the 29th to support these two teams, in what is sure to be a brilliant match.